Edward Timpson, Minister of State for Children and Families has highlighted the important role play has in supporting all young children to develop and prepare for later learning. The comment came in response to a written parliamentary question submitted by Andrew Stephenson MP, with support from deafblind charity, Sense. Mr. Timpson also welcomed the charity’s Case for Play report and its Inquiry into the provision of play opportunities for children aged 0-5 with multiple needs, in England and Wales. Mr Stephenson asked the Secretary of State for Education, what assessment she had made of the adequacy of provision of play opportunities for children with disabilities and complex needs. Play has an important role in supporting all young children to develop and prepare for later learning. The importance of play is recognised in the Early Years Foundation Stage framework , which states: “Each area of learning and development must be implemented through planned, purposeful play and through a mix of adult-led and child-initiated activity. Play is essential for children’s development, building their confidence as they learn to explore, to think about problems, and relate to others. Children learn by leading their own play, and by taking part in play which is guided by adults. Early Years educators and Early Years teachers are required to have an understanding of different pedagogical approaches, including the role of play in supporting early learning and development. It is for individual schools and settings to provide opportunities for play for their children and pupils, including those with special educational needs. 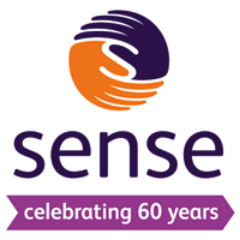 We welcome the report published by Sense and their continuing efforts to support deafblind children and young people. Former Secretary of State for Education and Employment, David Blunkett, is chairing the inquiry, alongside Lesley Rogers, a parent of a deafblind child with multiple needs.